Put your baby to sleep and cuddle in soft and comfortable Little's baby bed which are made from 100% cotton and available in cute prints and colours. Little's Compact Baby Bed comes with a head pillow and two soft attached bolsters that can be tied down on the sides of the bed to support the baby giving the baby a safe sleeping environment.These baby beds are easy to clean and wash and come along with a carry case making it easy for storage and ideal to carry while travelling.This is an ideal gift for a new born! 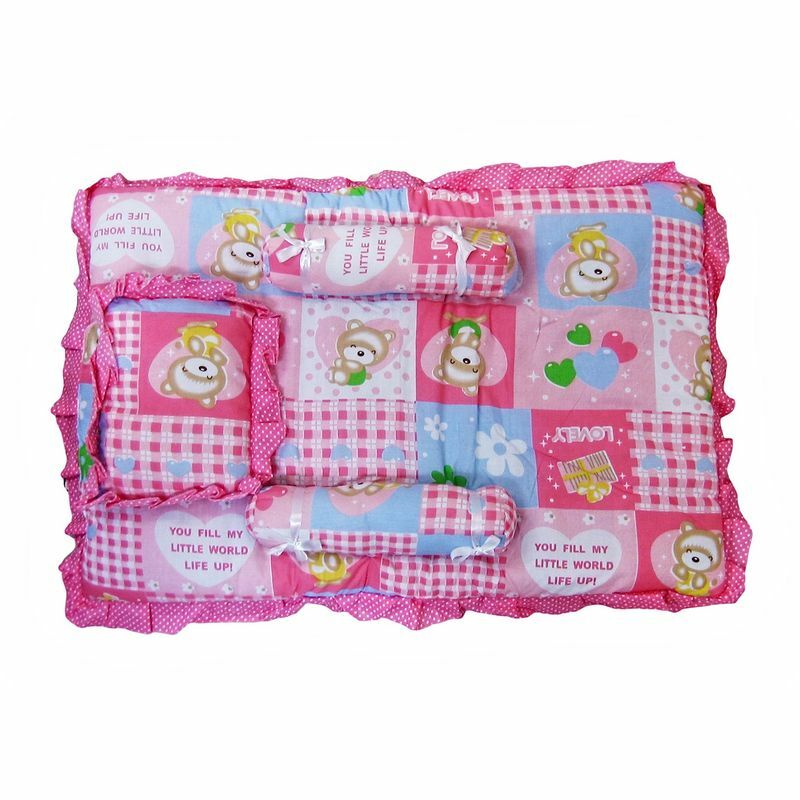 Includes head pillow and bolsters which can be tied down to support the baby while sleeping. Comes with carry case for easy storage and travel.